Although most people here would think of the Jefferson Pools when mentioning “healing waters” but this past week we experienced a different take of the healing aspects of Bath’s waters. 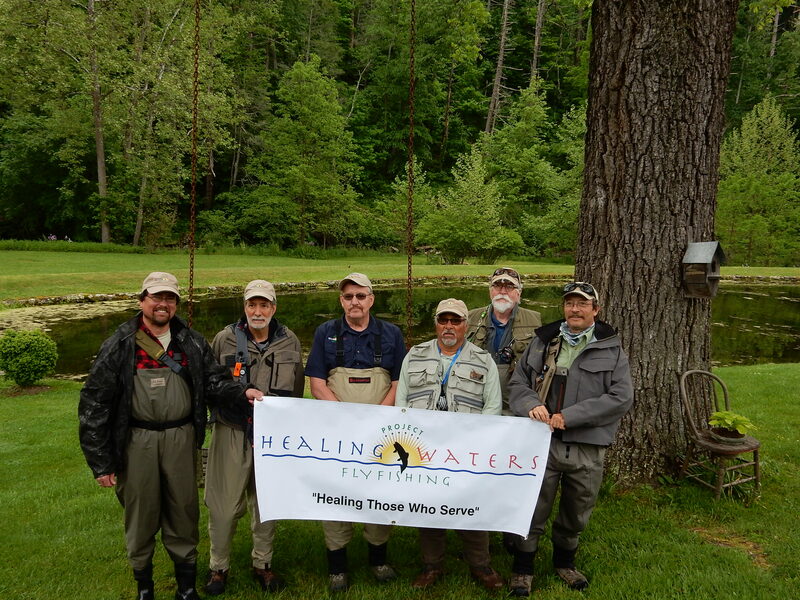 Project Healing Waters was an amazing idea back in 2005 and has grown tremendously in the pleasure volunteers like myself have felt. I can’t speak for the Veterans who have come to the farm, but for a man who was never called or volunteered to serve, it is hard to fully understand what war time service in the armed forces must be like. I may not know what that is like, but I do know the peace, calm, excitement, pleasure and wonder that fishing can bring. Many individuals and corporations have made tremendous contributions in time and equipment to offer Veterans the complete experience. They are provided with everything needed in equipment, fly tying materials, rod building, instruction and company. PHW brings over 20 Veterans to Bath County each Spring. We’ve formed a local Chapter offering Veterans of Bath, Alleghany, Highland and Pocahontas Counties the opportunity to participate. 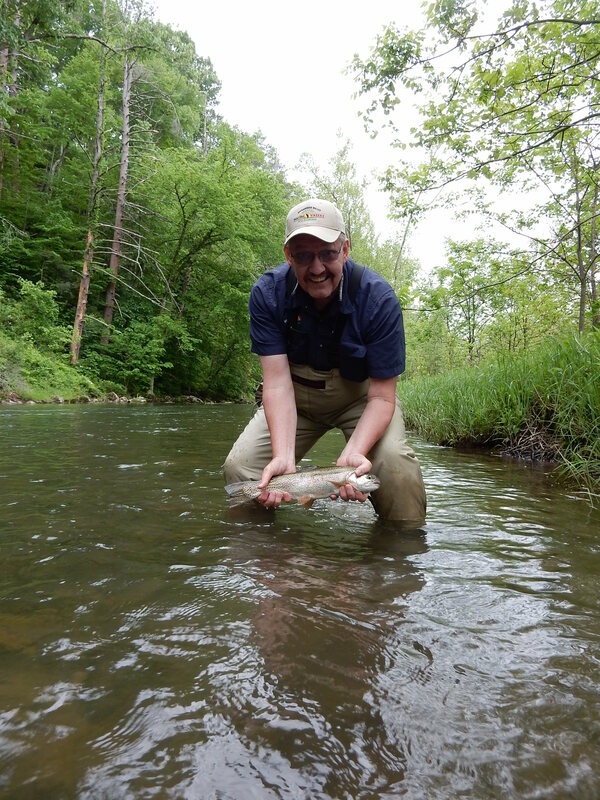 Here’s a link if you are interested in learning more about Project Healing Waters.